This is an image from my archive of creative retouching work. I really enjoyed making this one. 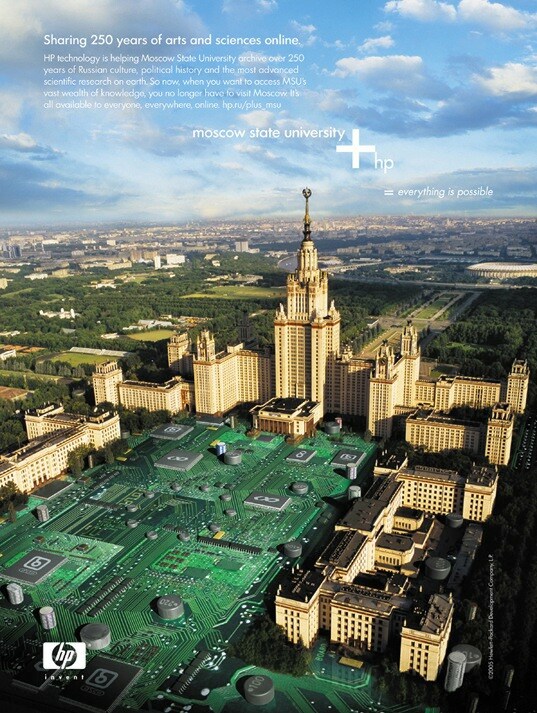 During the HP+ campaign, Claude Shade of Goodby Silverstien asked me to create this image of circuit board on the Moscow University grounds. I modeled the circuit boards in Cinema 4D and retouched the pieces into an aerial photograph he commissioned.